It is different from noise-reducing beans in appearance and opening way, so is there a big difference in its internal? I love the audio network by disassembling it right away. 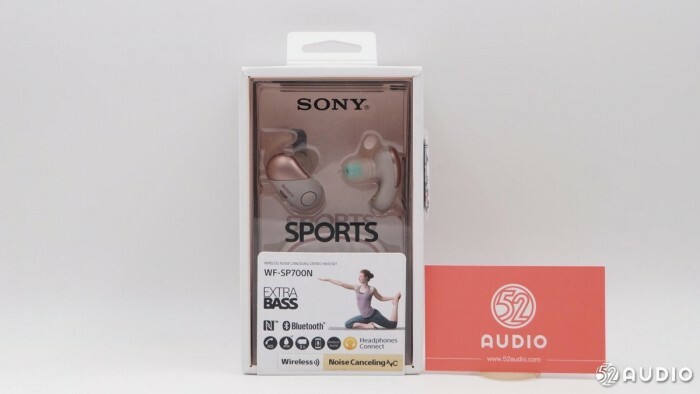 As a sport headset, it has a clean feeling on the package, which is firm but easy to open. 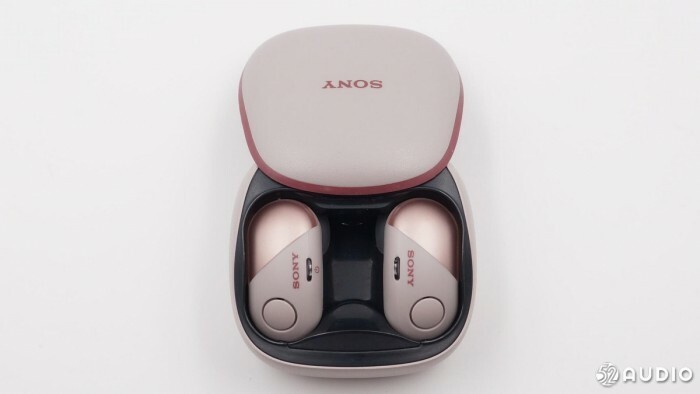 On the back of the product package, you can see the top wearing effect diagram, the headphone opening diagram and so on. 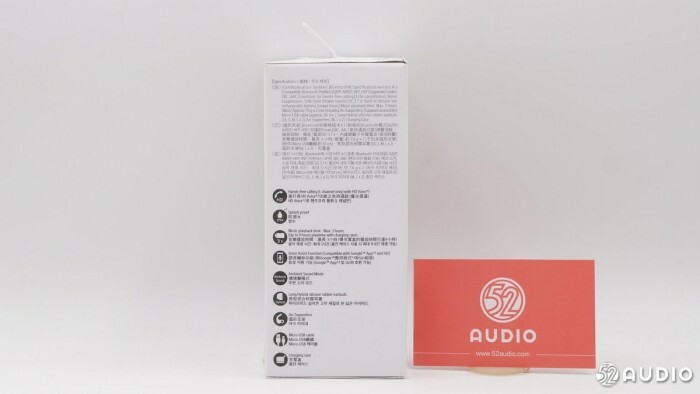 On the left is a display of some of the features of the product. 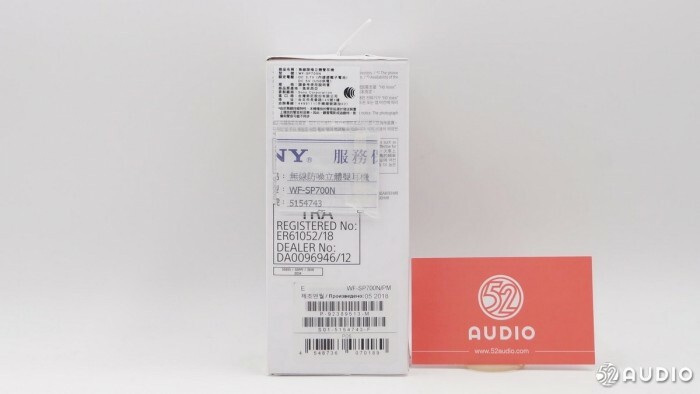 I love the audio netizens with this version of the product that sticks the warranty card to the right. 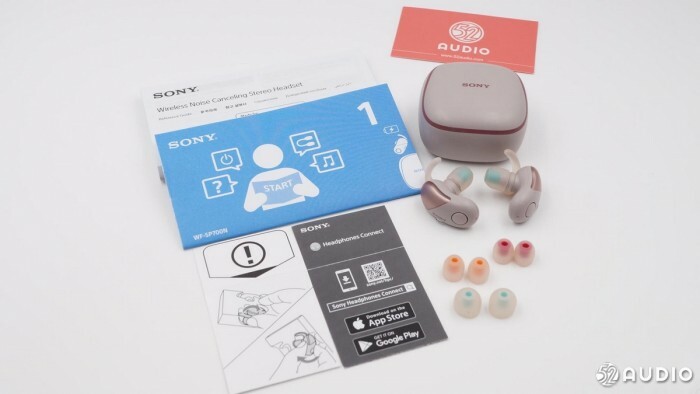 The package includes instructions for use, three pairs of silica gel sleeves, headphone body and charging box. 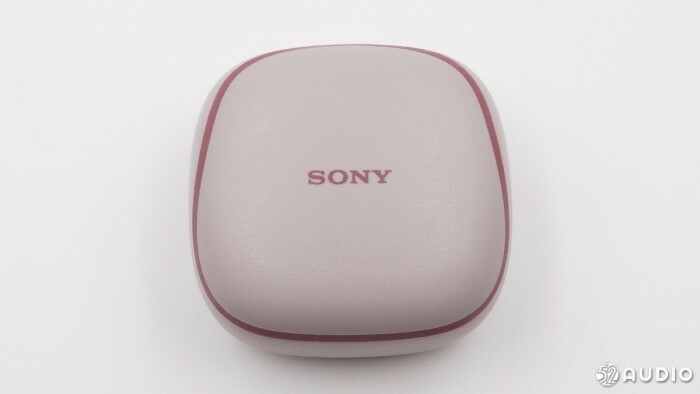 WF-SP700N is equipped with a relatively square charging box, which is slightly larger. 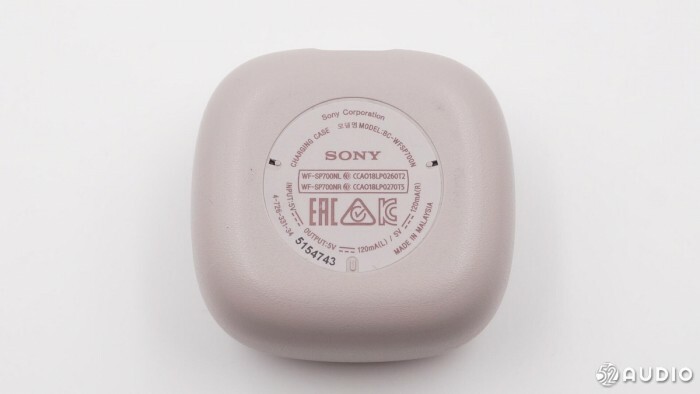 The back of the charging box is marked with the relevant parameters of the headset charging box. The input is 5V, the output is 5V 120mA. Made in Malaysia. 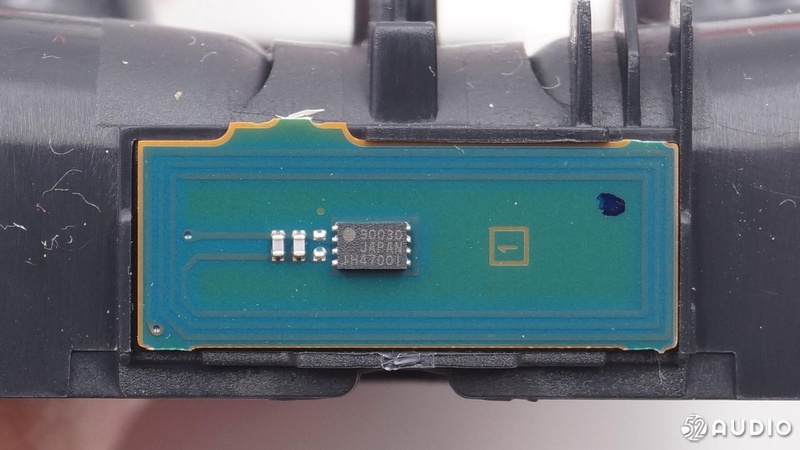 WF-SP700N is charged with Micro USB interface and supports NFC pairing. WF-SP700N charging box opens in a different way. By rotating the cover, sliding the cover to the left or right can open the cover. The lid opens in a very interesting way and fits in with the sports scene. It can be thrown like a lighter lid when it's free. 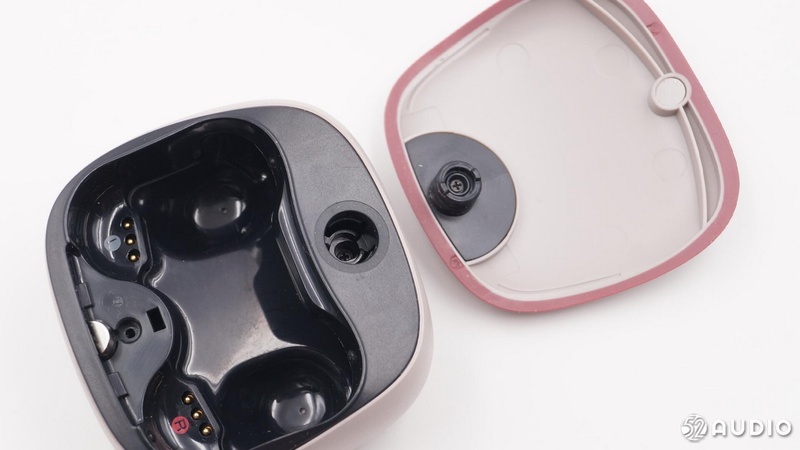 Headphone cabin features, using 3pin contacts to charge the headphones. 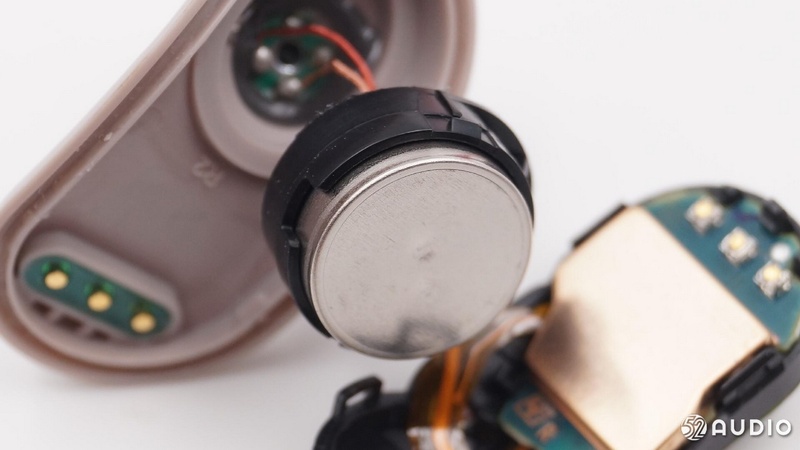 The lid on the outside can be lifted directly, with a screw hidden underneath. 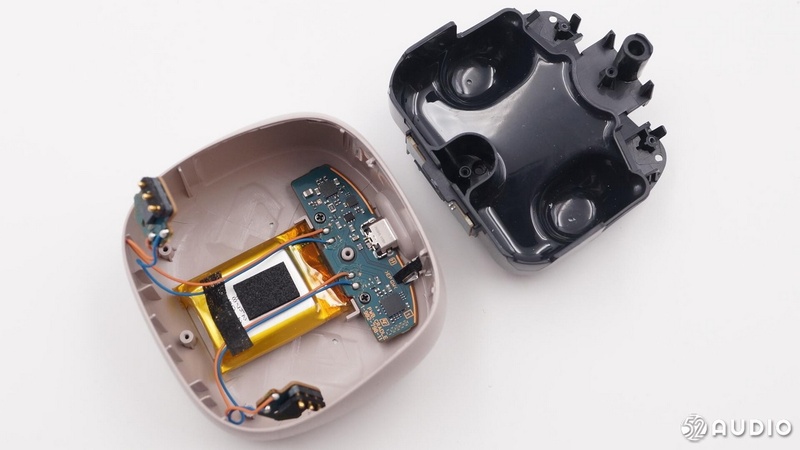 The spindle of the cover of the charging box is fixed on the box body with a snap, the spindle is fixed on the surface cover with a screw, and a circle of soft rubber is arranged on the inside and outside of the top cover. On one side corresponding to the rotating shaft is the box cover positioning magnet. 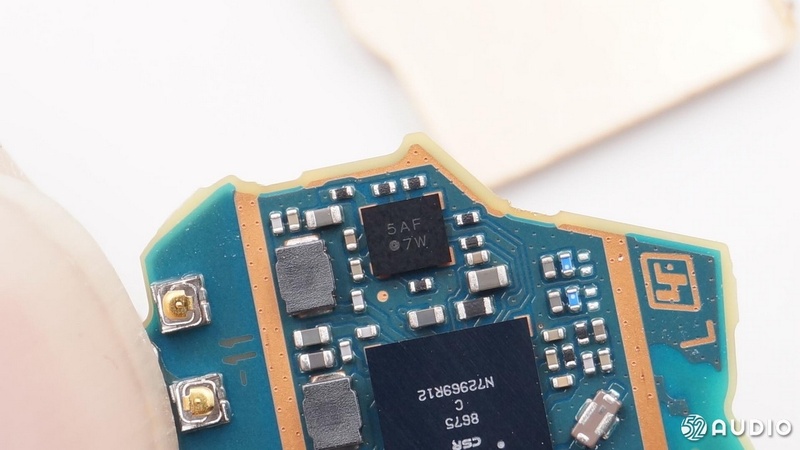 When you remove the screw that holds the C face, you can see that there is another layer of plastic frame below. Remove the middle frame of this layer, and you can see all the components at the bottom. 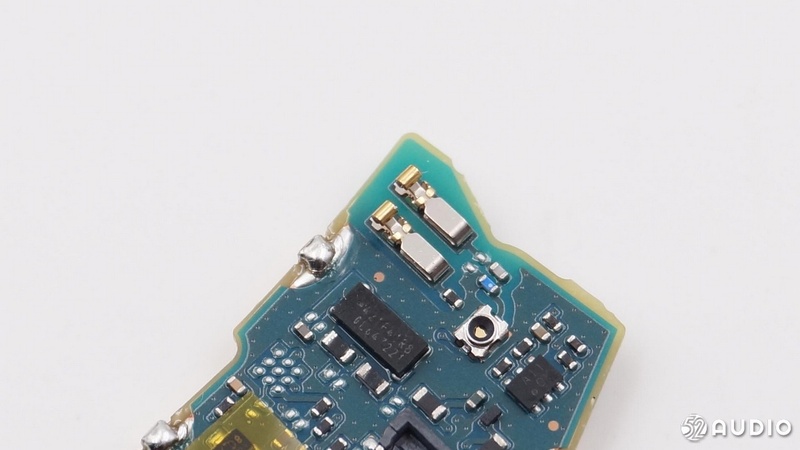 You can see that the main board of the headphone charging box is fixed on the edge of the box, exposing the Micro USB interface. 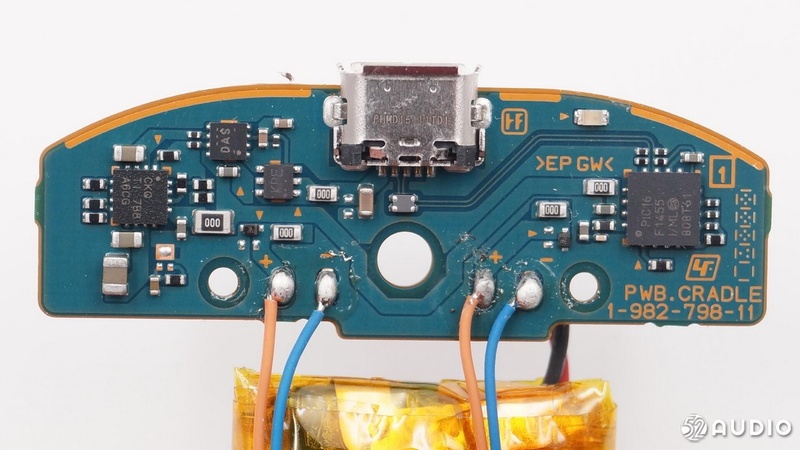 The wires are connected to two headphone charging contact panels and batteries. 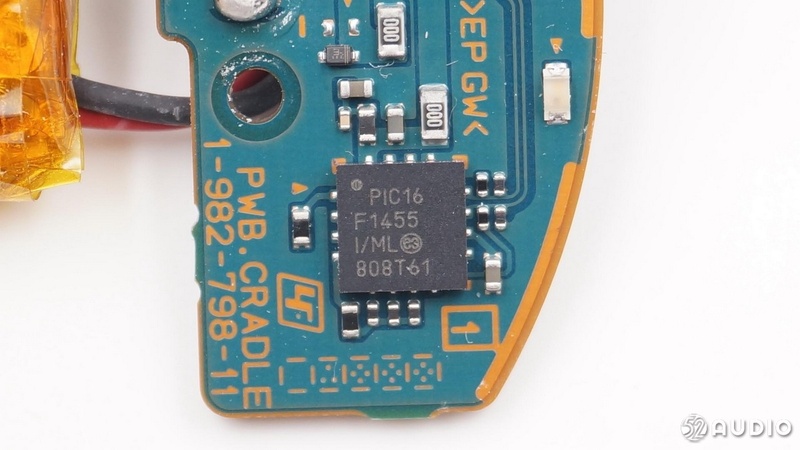 Close-up of NFC chip. Silk Printing "90030 JAPAN IH47001". 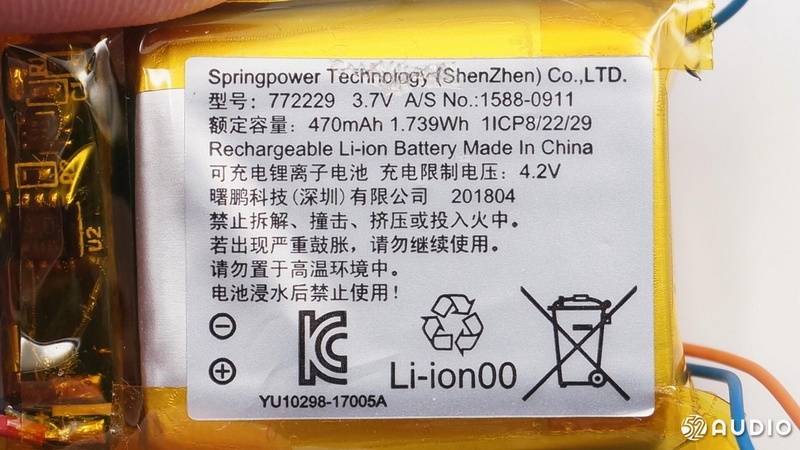 Spring Power Technology (Shenzhen) Shupeng Technology's 772229 lithium polymer battery, capacity 470 mAh. Headphone Charging Box Battery Front Close-up. 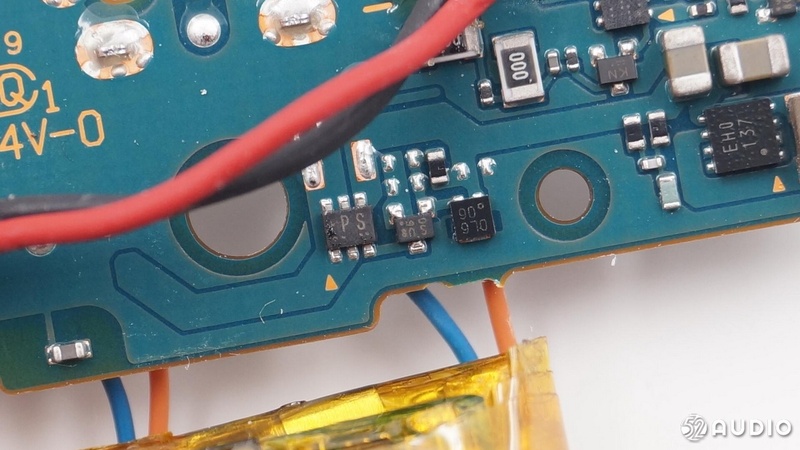 Close-up of the circuit protection board on the battery. 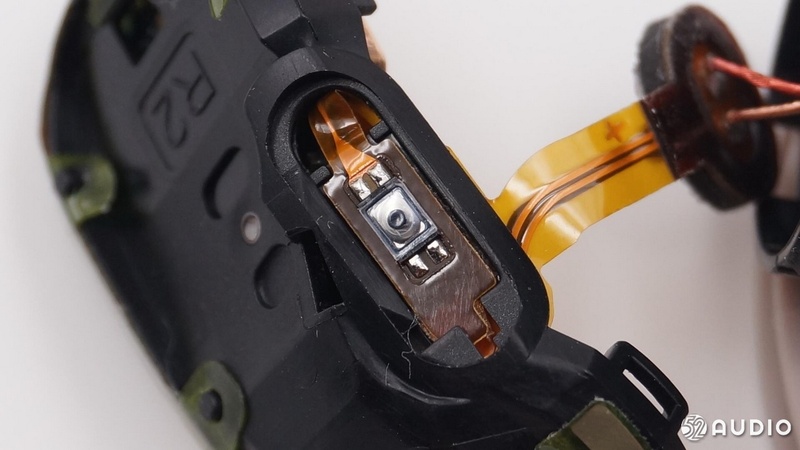 The 3pin charging shock panel is connected to the motherboard by wire. 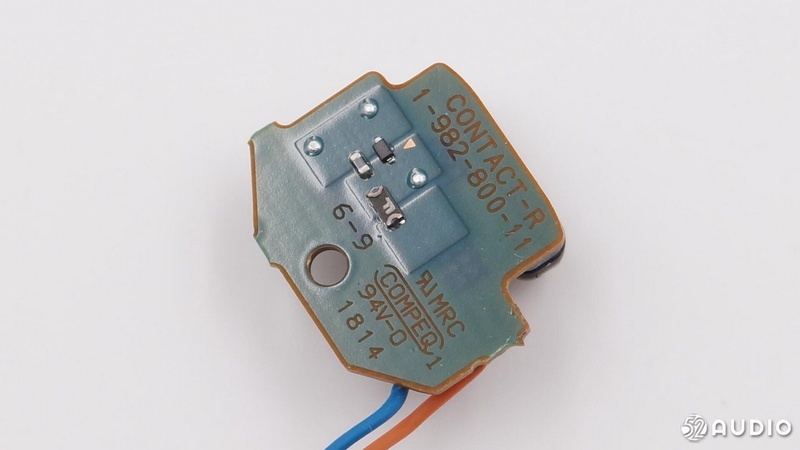 Charging contact panel features on the back, with a self-recovery insurance, capacitance, anti-reverse diode. 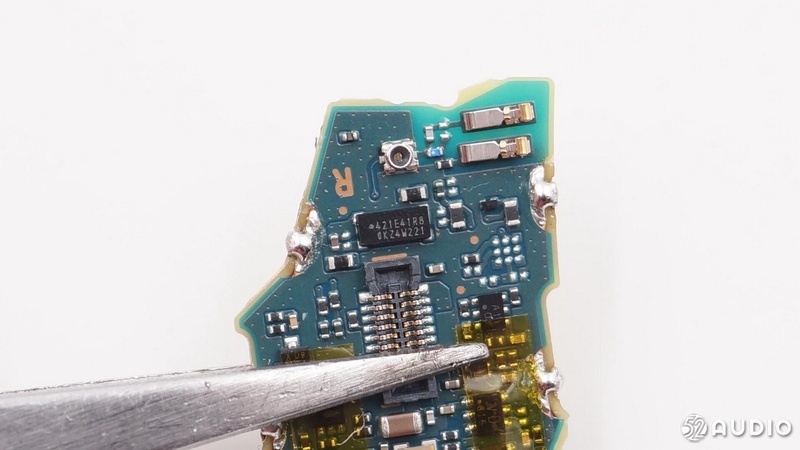 Micro USB interface is welded on the front of the main board in the headphone charging box, and you can see the full solder joints of the headphone charging contacts. 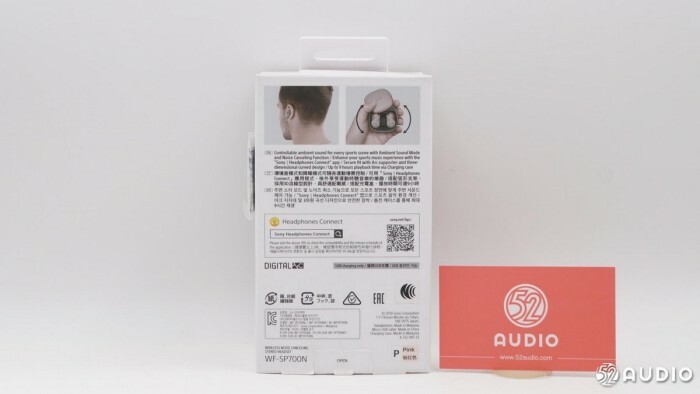 On the back of the main board of the headphone charging box, you can see the logo of COMPEQ Huatong computer. 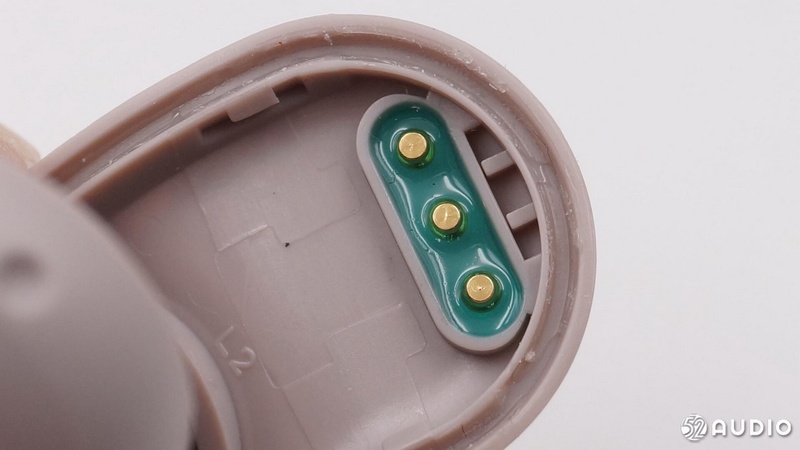 The wire of the battery is welded on this side. 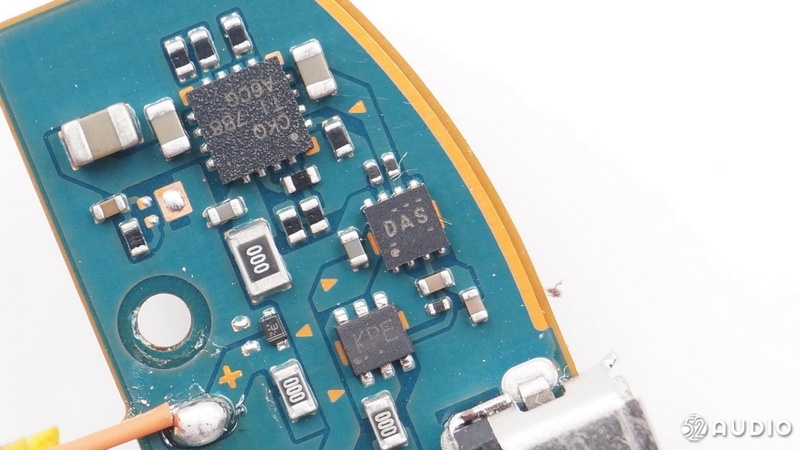 Diodes are at the far right in the middle. 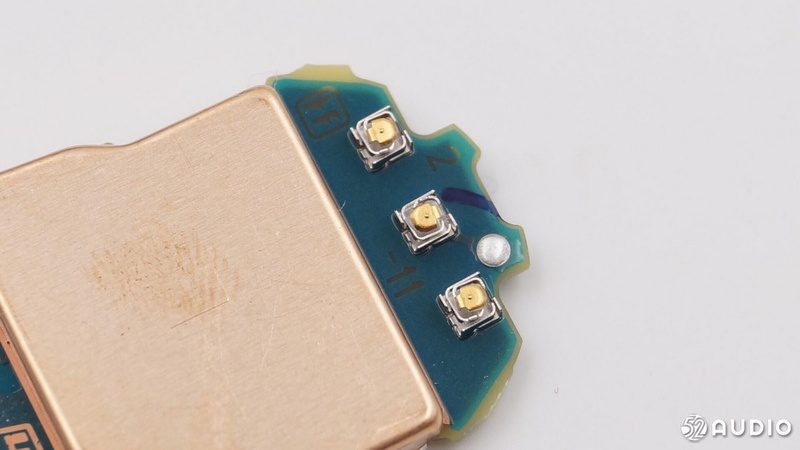 Silk Printing EH0 Linear Charging IC. The IC of screen printing DAS is TI Texas Instrument BQ24308 overvoltage and overcurrent protection IC. 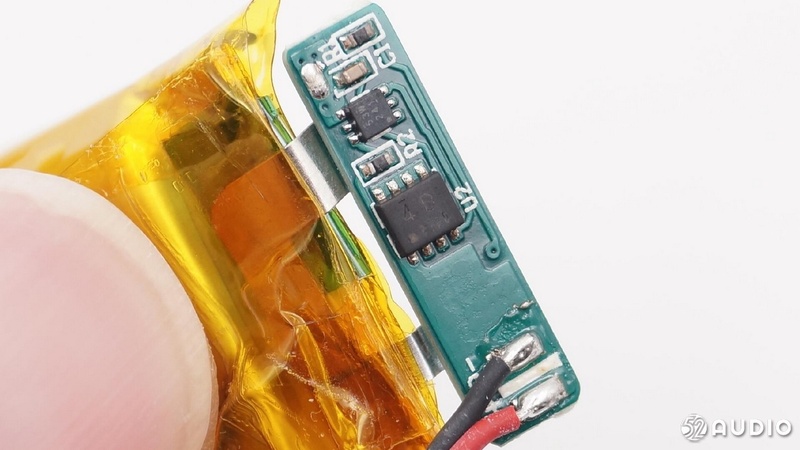 Silk-printed CKQ is a lithium-ion battery charger and power path management IC powered by TI Texas Instrument BQ24073 USB. PIC16F1455 MCU, 8-bit computer, control USB connection and headphone charging. 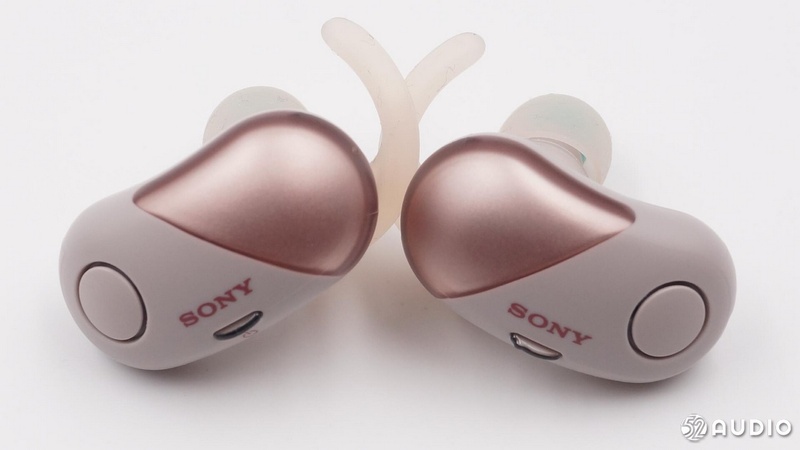 In the appearance of headphones, WF-SP700N is more like a bean and a mature broad bean than WF-1000X. 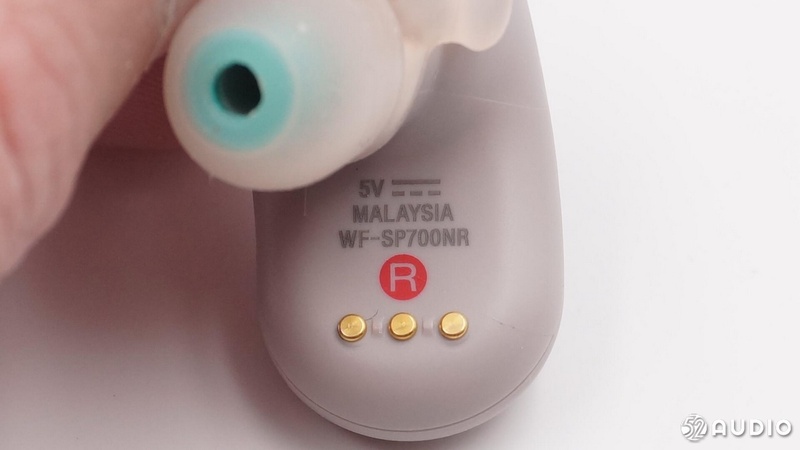 On the inner side of the headset, there is the model WF-SP700NR, the input voltage 5V, the Malaysian production logo. 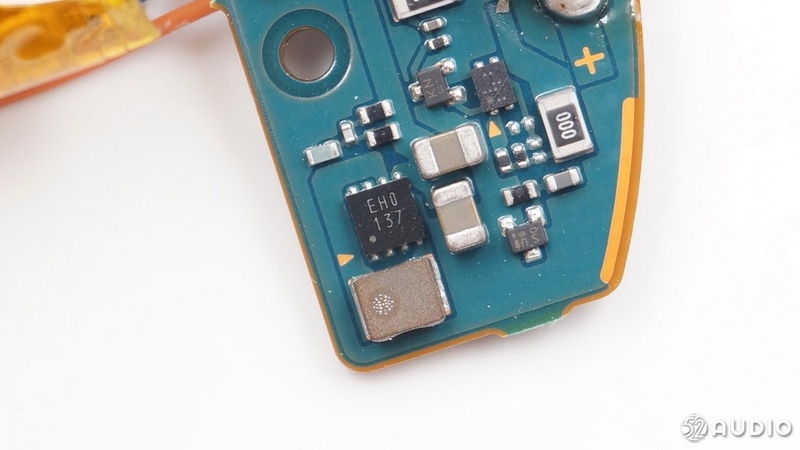 The R in the lower circle represents the right headset, and the charging contact of 3pin is below. There are two holes around the circle. 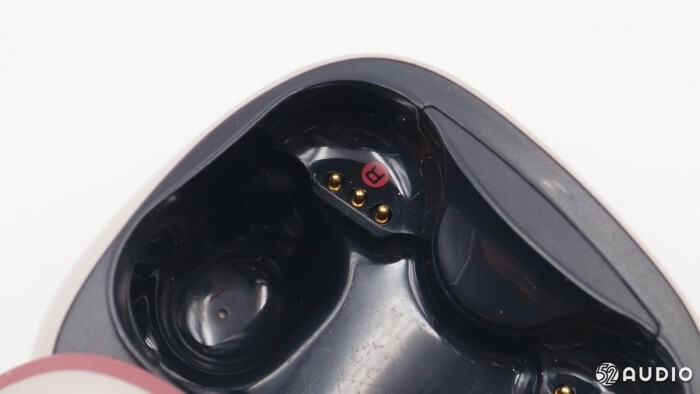 The upper right part is the headphone indicator, and the lower left part is the noise-reducing microphone pickup hole. The key part is made of a transparent plastic. 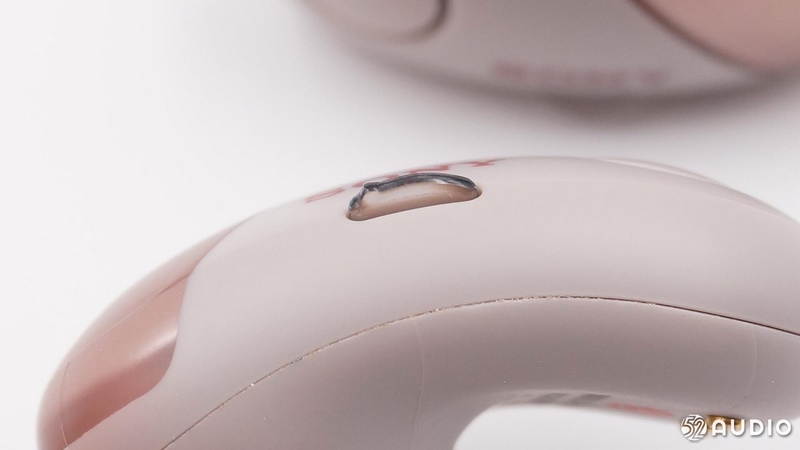 Tuning holes on the side of headphones. 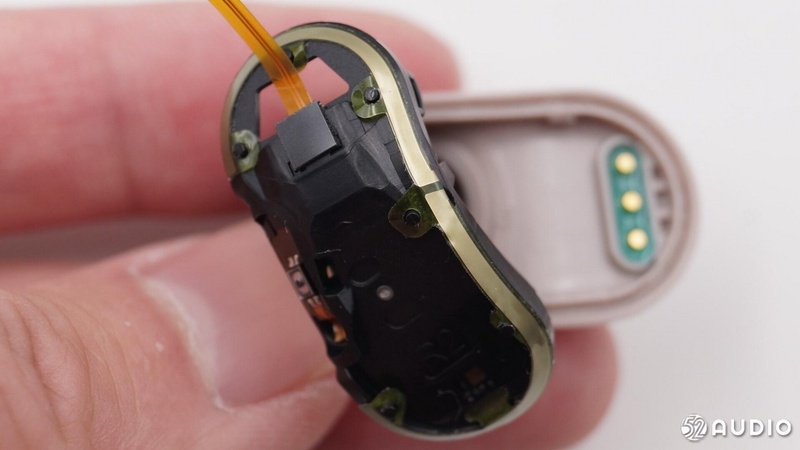 Inside the headphone catheter, you can see that the moving coil speaker is not equipped with a dust screen. 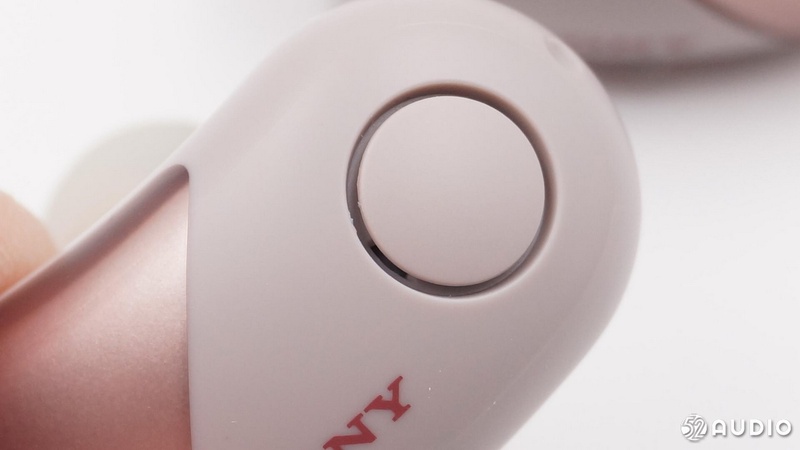 Remove the headphone from the middle and divide it into inside and outside parts. 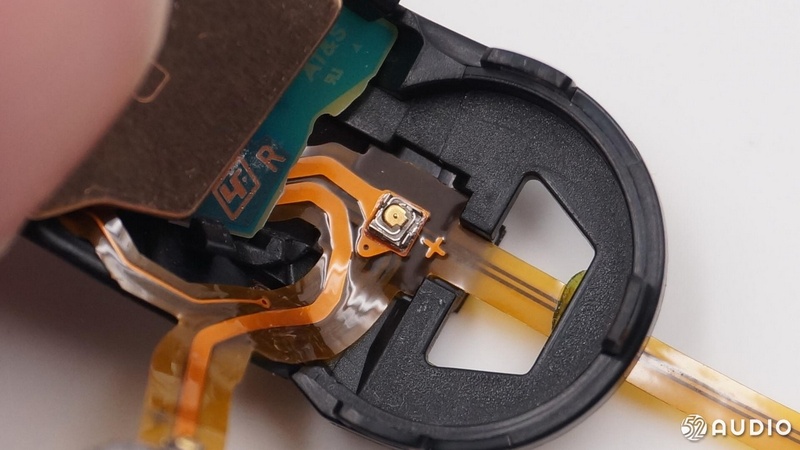 Fix three charging contacts inside the headphone with glue. 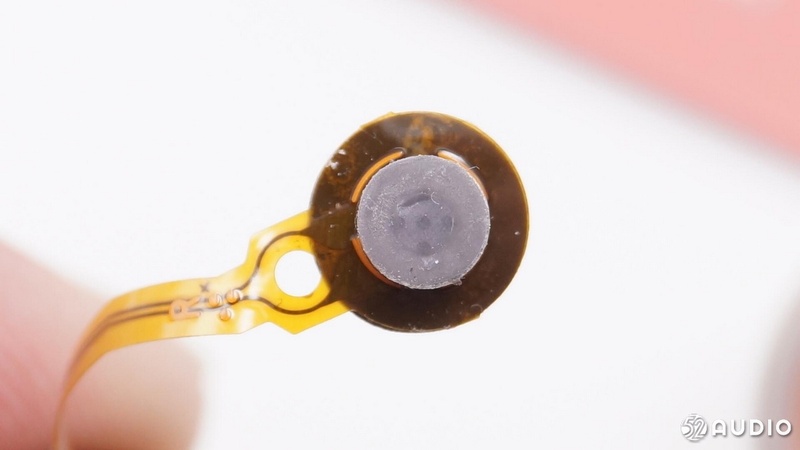 On the inner side of the headphone cover, the lower part is a transparent button assembly, and on the left side is a noise-reducing microphone. 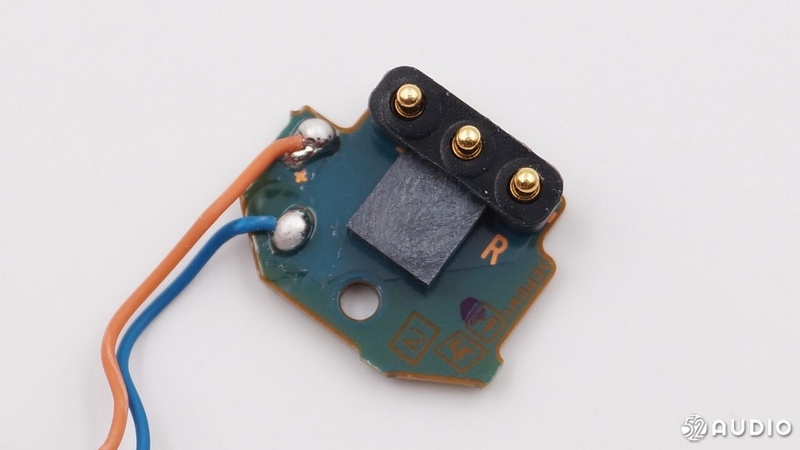 It is found that the noise-reducing microphone is electret microphone, which is connected to the motherboard by soft wire. 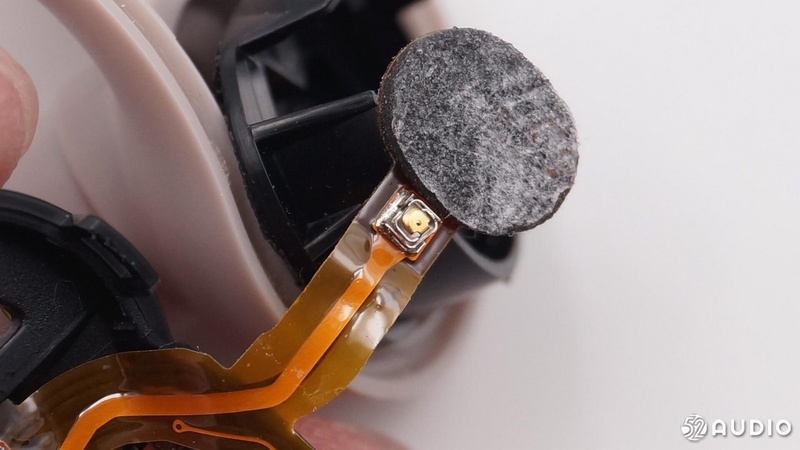 The speaker and moving coil unit of the headphone are fixed in the catheter with waterproof glue. 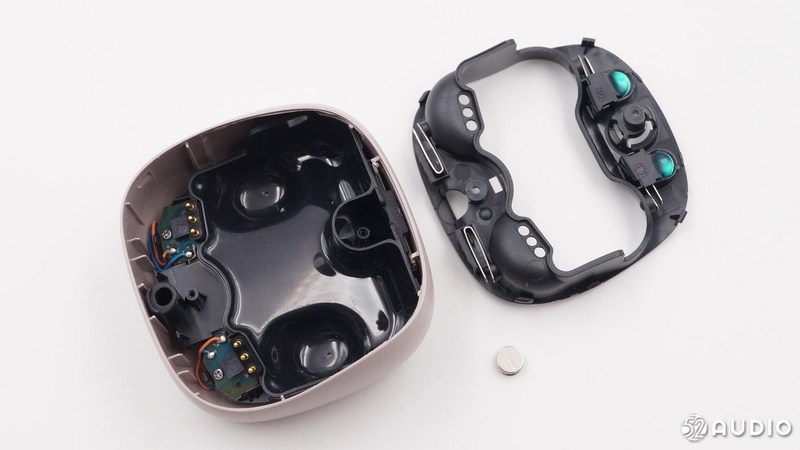 The elliptical ring of the outer part is fixed with double-sided glue on the battery bracket made of black plastic material so as to form a sealed chamber for the headphone unit to improve the sound effect. 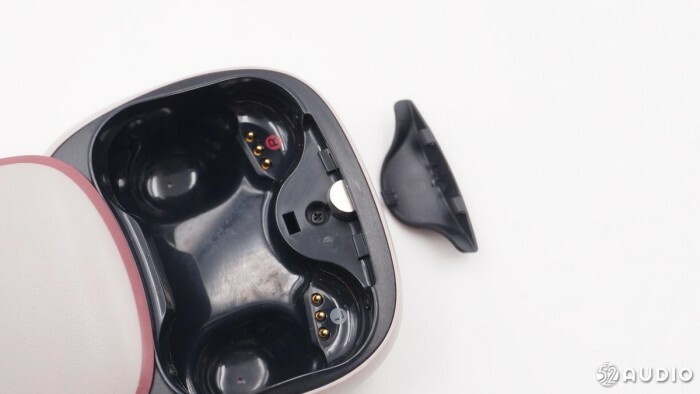 The battery of the headphone is wrapped in two plastic brackets. 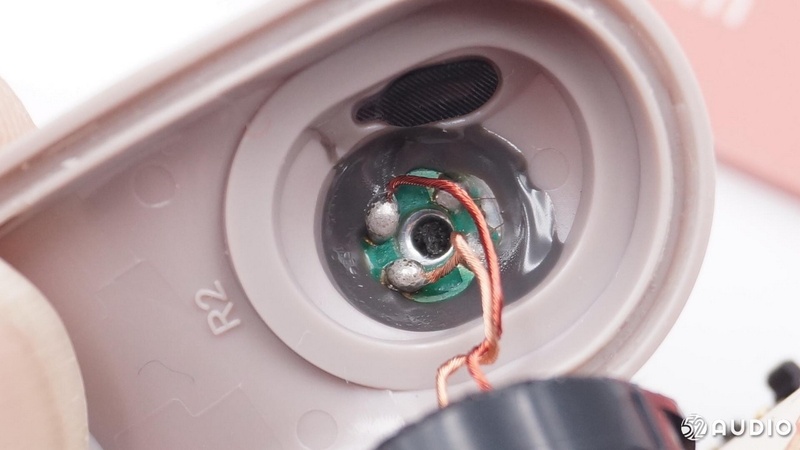 The bracket at the back of the battery is fixed in the part of the headphone unit. 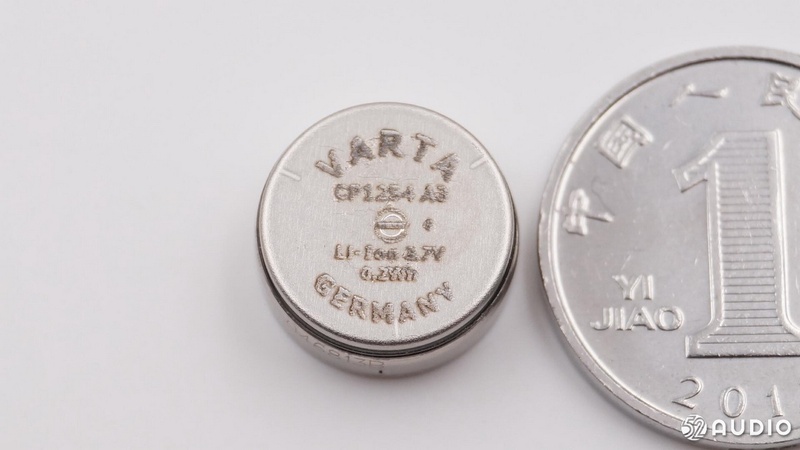 According to my love for audio network disassembly analysis, SONY Sony WF-SP700N uses VARTA German Valta button lithium battery. 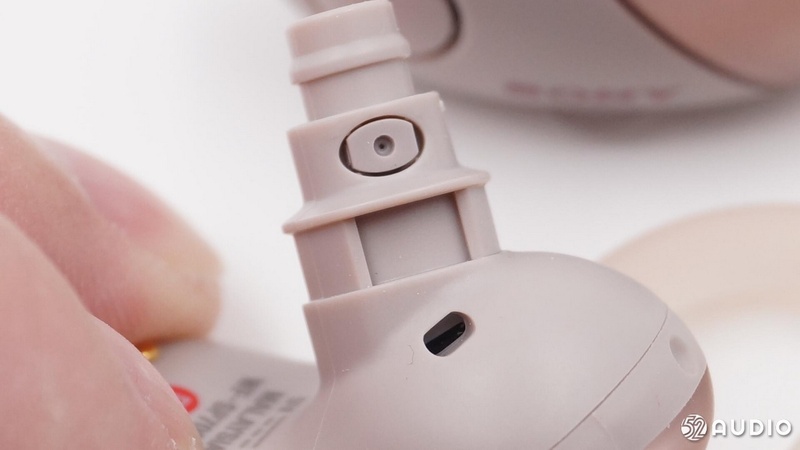 In order to strengthen the contact between the positive and negative poles and the battery poles, the soft wire is clamped in the battery fixing frame and fixed on the battery with double-sided foam gum as the contact point of the battery negative poles. 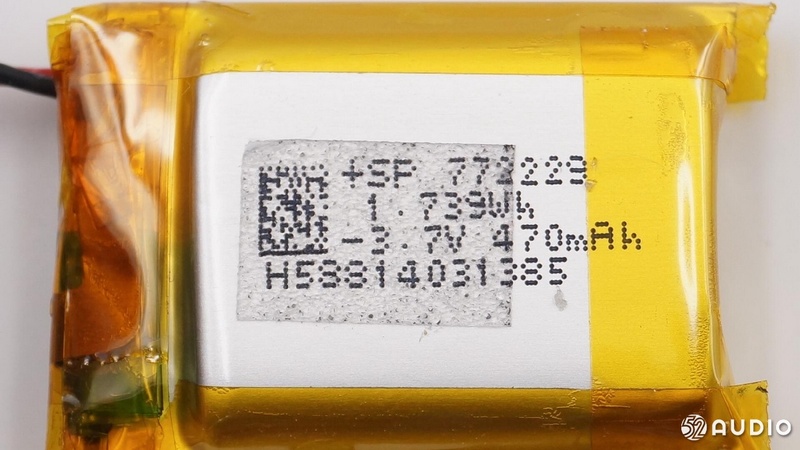 The positive contacts of the battery are arranged and fixed in the frame on the other side. 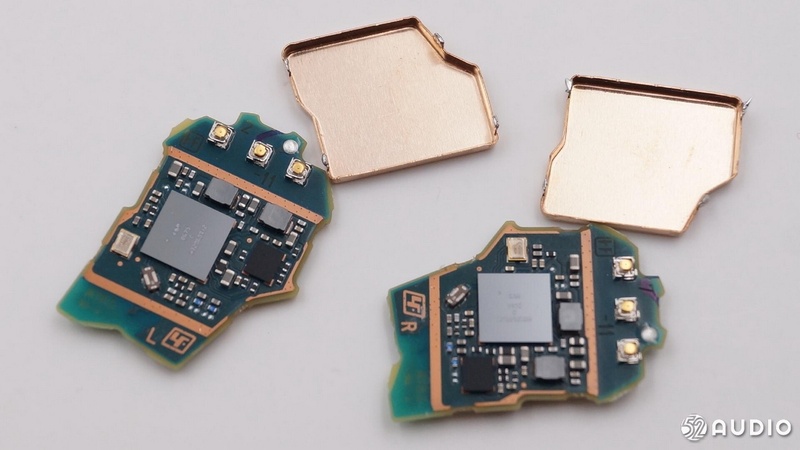 The frame is also fixed with the main PCB and other auxiliary panels of the earphone. 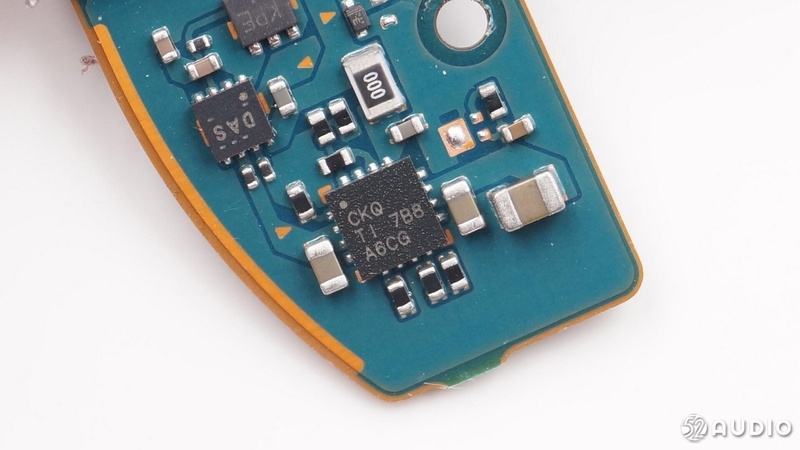 The micro button corresponding to the button on the back of the headset. 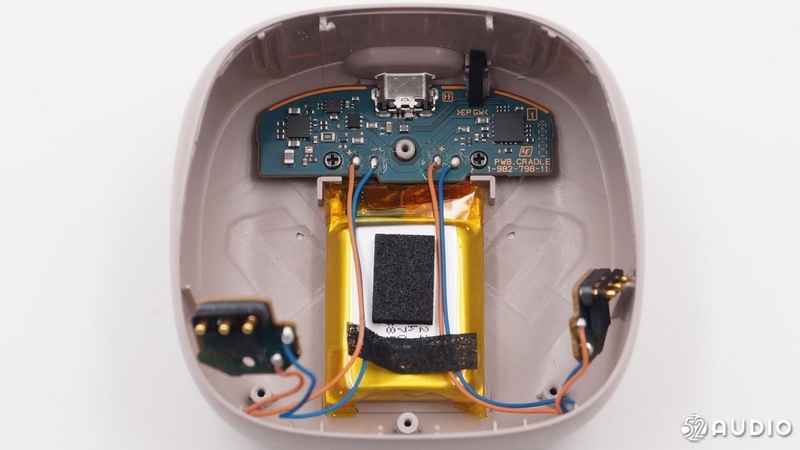 The module in the back cover, surrounded by a circle of golden yellow part, is a Bluetooth antenna. The antenna with such a large area can ensure stable reception of signals when moving. 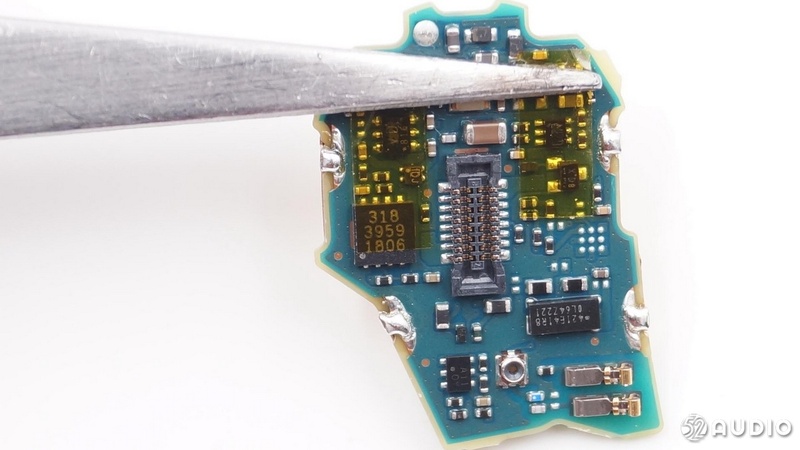 The functional modules of each part of the headset are wired with a socket fixed on the main PCB. 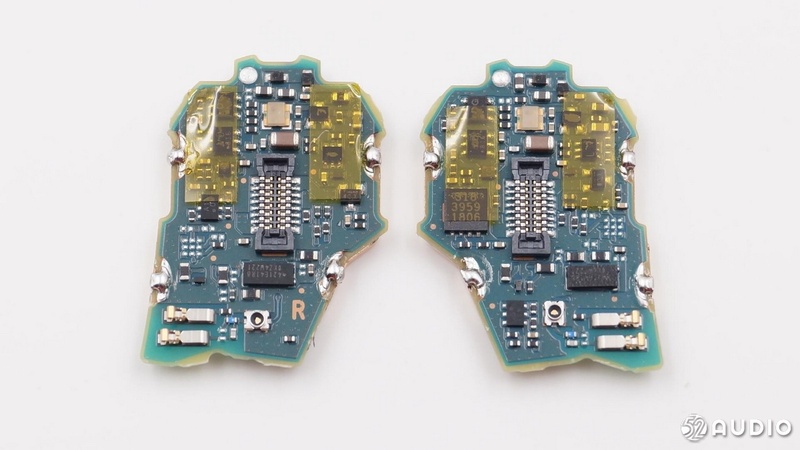 The front features of the two motherboards are slightly different in the layout of the components of the left and right ear motherboards. The two motherboards have a close-up on the back, which at first looks exactly the same layout. 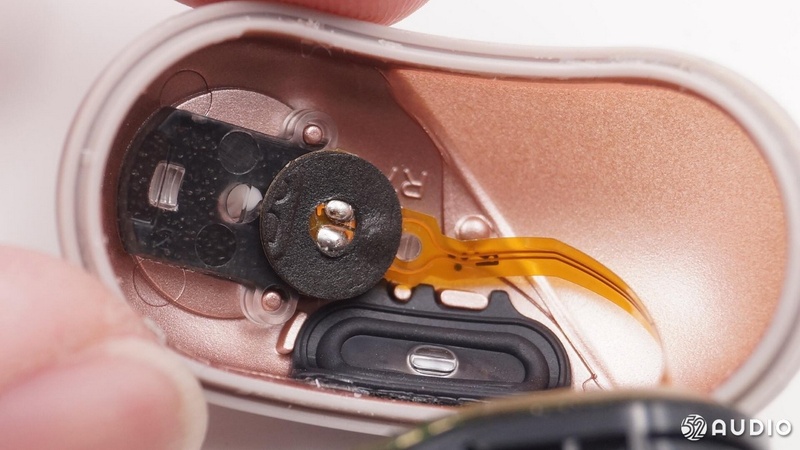 The copper shield also has three elastic contacts with the charging column. The shield cover is divided into left and right. 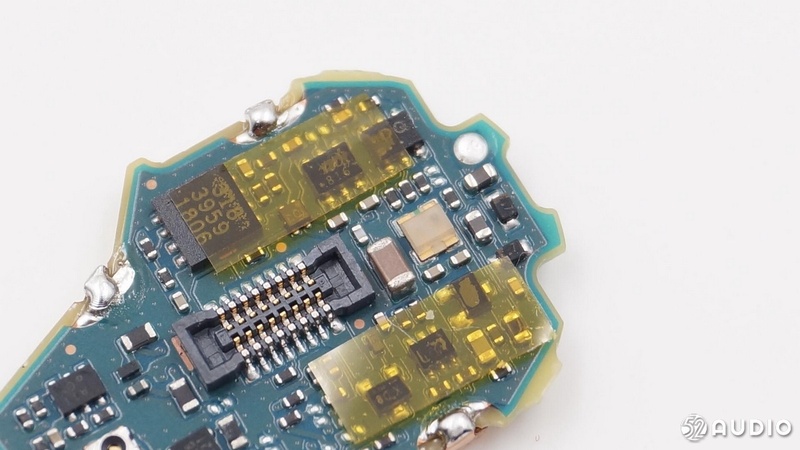 There are three charging contacts on the back edge of the motherboard. 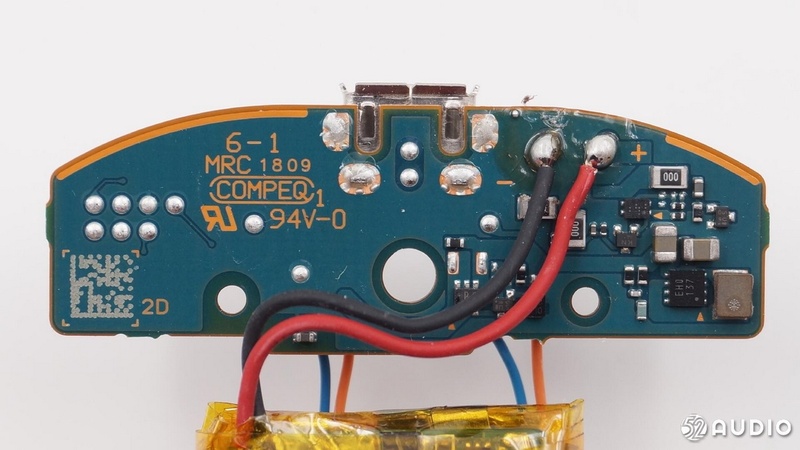 On the front of the headphone motherboard, several chips are covered with yellow insulating tape, and in the middle are LED lights and wiring sockets. On the other side is the shrapnel contacting the Bluetooth antenna. 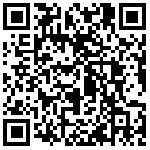 Screen printing 421E41R8 chip, function is unknown. According to my favorite audio network analysis, an Apple Certification IC of 318 3959 is used for MFI certification equipment. 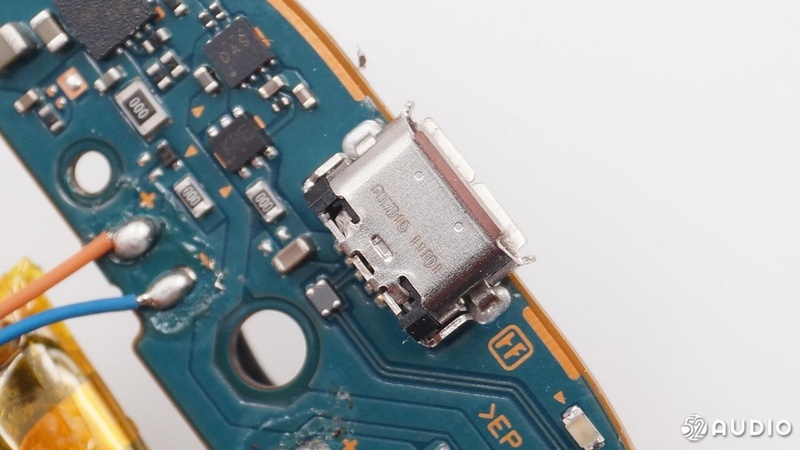 Next, the metal shield on the other side is removed, and you can see that there are many chips under it. The largest one is Bluetooth audio master, CSR8675 TWS true wireless Bluetooth audio chip from Qualcomm Qualcomm Qualcomm Qualcomm Qualcomm. Qualcomm Qualcomm Qualcomm Qualcomm Qualcomm CSR8675 supports Bluetooth 4.2, analog and digital pickups, built-in Qualcomm Kalimba DSP, 120MHz clock frequency. 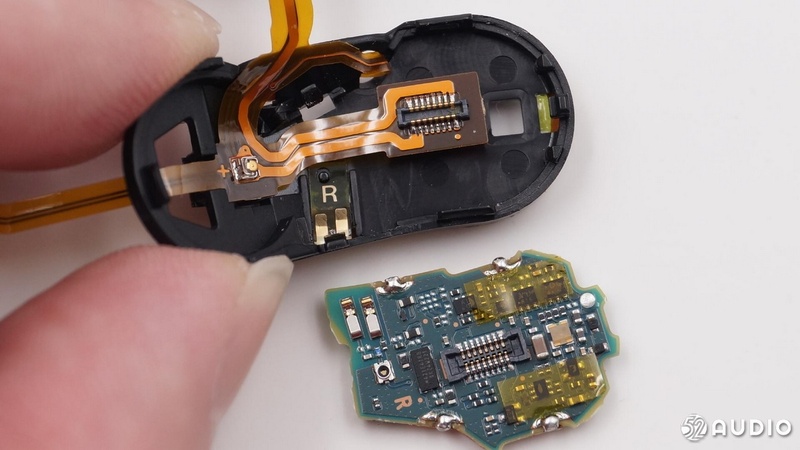 Without external components, it can provide 200 mA charging current for built-in lithium batteries. 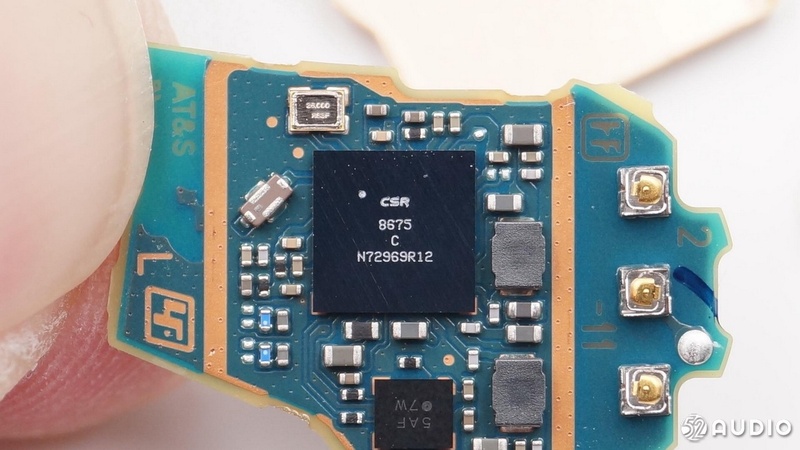 A silk-printed 5AF 7W chip. 1. 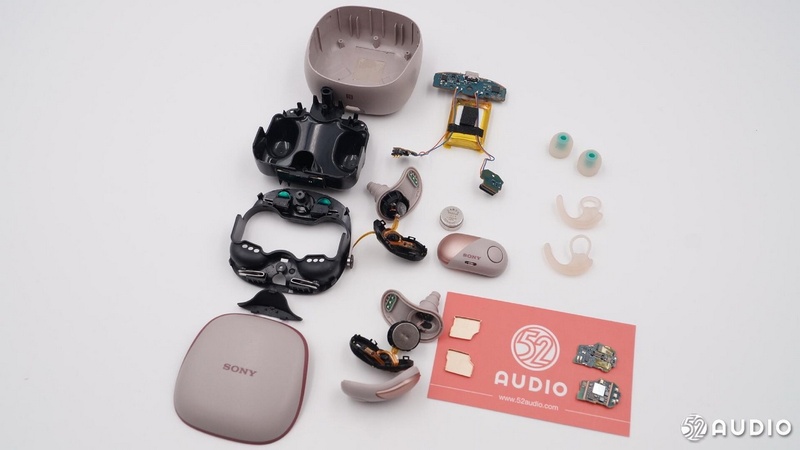 As a sport headset, I found SONY WF-SP700N has done enough waterproofing measures to meet the waterproofing requirements in general sports during the dismantling process. 2. 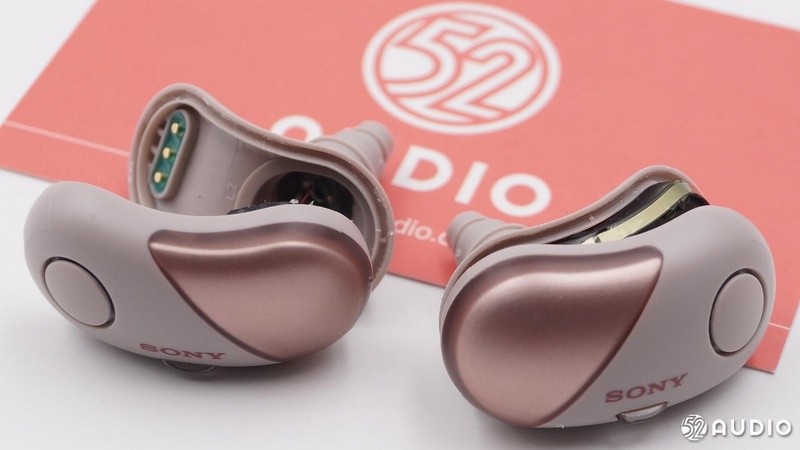 Using CSR8675 solution, this version supports Bluetooth V4.2, built-in integrated high-performance stereo DAC and ADC, and also carries advanced active noise reduction technology to enhance user experience. 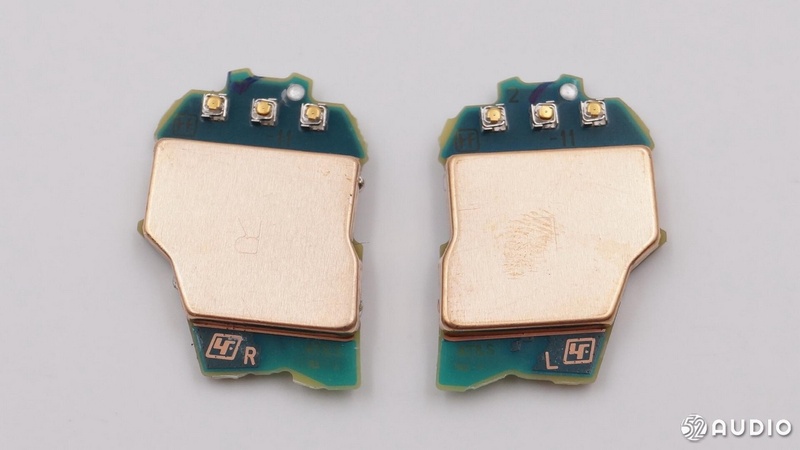 This highly integrated chip saves space, reduces overall power consumption, makes headphones lighter and smaller, and maintains lifetime. 3. 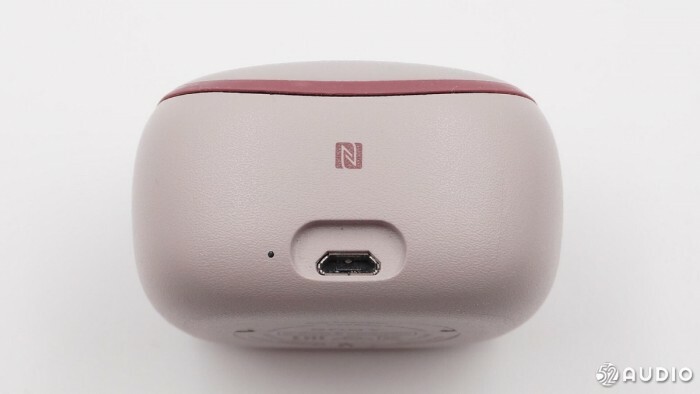 The headphone charging box supports NFC matching, and the audio equipment supporting NFC can be more easily connected to the headphone.